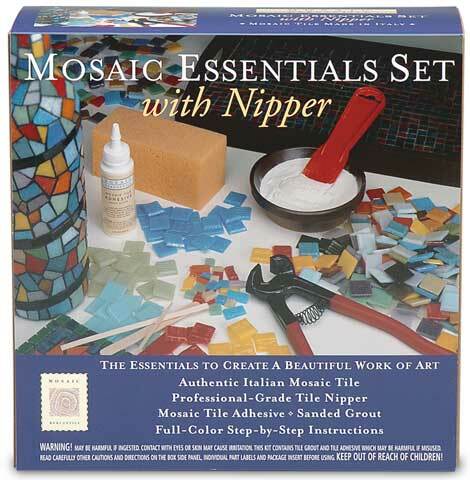 This all-inclusive set has everything you need to get started in mosaics. It contains a mosaic tile nipper, 1 lb. of assorted glass mosaic tile, 2 oz. adhesive, 16 oz. white sanded grout, latex gloves, a grout sponge, a grout spreader tool, wooden applicator sticks and step-by-step instructions.